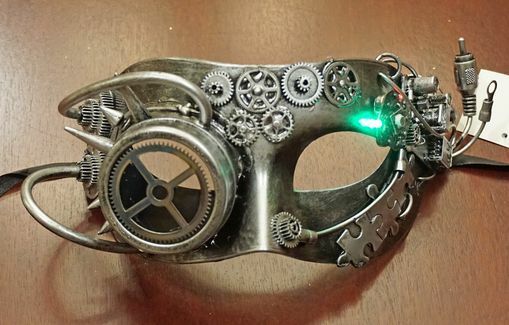 Industrial eye masks is hand painted and accented with gears and wires. Mask is made of a durable PVC and comes with 3 color flashing L.E.D lights. Push button to activate lights. Batteries included. Mask comes with black ribbon ties.